Why use sterile, pre-formed, pre-packaged drum tracks when you can get original acoustic drum set and percussion tracks created and recorded specifically for your songs? Tom is a veteran of countless record ing sessions, creating drum tracks that range from traditional to “outside the box”. His main philosophy for any session is to always, unselfishly, support the song by creating the right texture, atmosphere and feel. 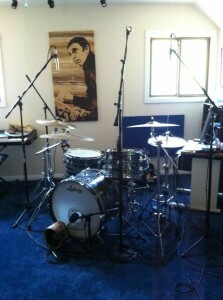 If called for, Tom can also create original loops to supplement the drum tracks and add an extra dimension to the song. He is also adept at adding just the right percussion parts to be the” icing on the cake”. From demos, jingles and single tunes to entire records, his experience and ability will bring a special feel and quality to your current project. What is the process of an internet “cyber” session? After an agreement on cost and details of the project, the process would include sending a .wav or mp3 of your mixed existing tracks, along with the tempo and sample rate you are using. When recording is finished, a rough mix will be sent back for your approval of the parts. When approval and final payment is received, you will be sent the individual recorded tracks in .wav file format for your own mixing preferences. It is recommended that the tracks be sent to you with no effects or EQ to allow you to choose your own that fit the final mix of your project. But, if you wish, mixed stereo “stems” can be sent instead. Tom uses Ableton Live 9.1 for looping and DAW, exclusively. Projects recorded with this process or using loops created at the studio include: “A Thousand Oceans“- Sherah; “Before the Dawn“- Marty Muse; “Ready for Confetti” and “Rose Hotel“- Robert Earl Keen. 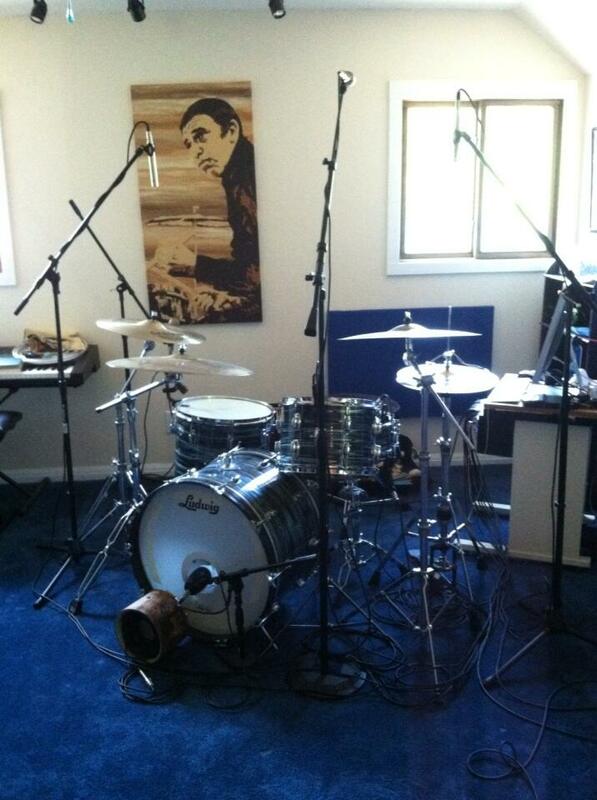 Here are some examples of recordings – percussion overdubs, drum set tracks, loops and re-mixes – done at Tom’s studio. Note the “drum set demos” have no processing on the tracks and are similar to the “rough mix” you would receive for approval. Please go to the CONTACT page if you are interested and let him know the details of your project. Only serious inquiries, please. You will usually get a response in 24-48 hours.